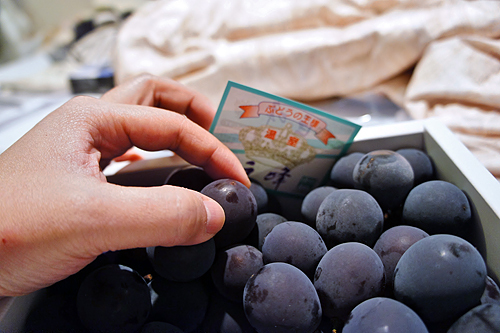 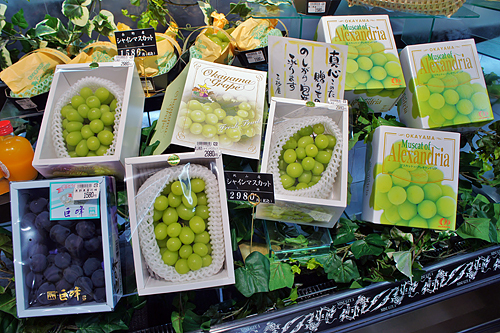 This is one of the most famous grape around Asia. It's huge in comparison to the usual breed of grapes, what's more, you only eat the flesh of the grape and discard the skin, it comes off surprisingly easy too. 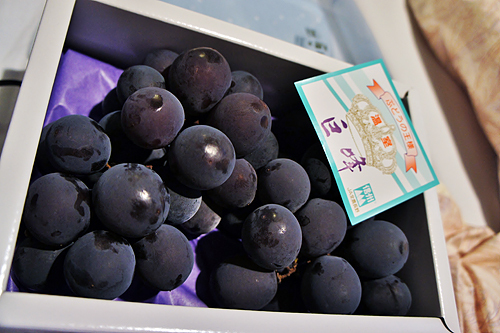 The taste is what makes it famous, it's the grapiest tasting grape you can ever find, it almost borderlines to fake grape taste. 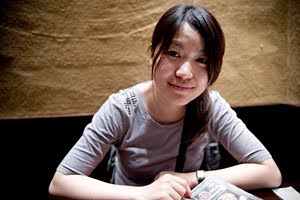 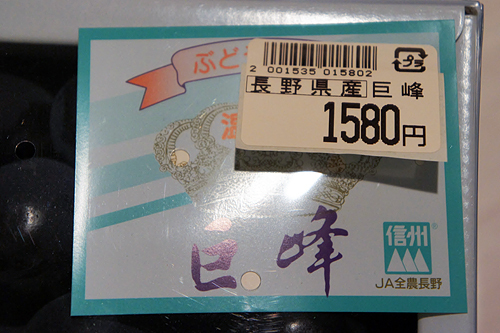 Running at 1580円 per box, it is considered quite a luxurious item.